Who will win the battle of the enterprise giants? The war over the consumer is at an end. The winners have been declared and the dust is settling: smartphones and tablets are winning, traditional PC sales are declining and Apple, Google and Amazon reign supreme. All of the large consumer-facing technology startups that originated in Silicon Valley are ageing – Apple is over 30 years old, for example – and breaking into the market is becoming harder and harder, to the point where the focus has shifted elsewhere. The social web has exploded over the past decade, with the introduction of Twitter and Facebook bringing the social experience to the internet and reaping billions of dollars in revenue in the process. But the one place where the dust has yet to settle – or even begin settling – is the enterprise. Previously, creating an enterprise company was a tricky affair requiring a boatload of capital and patience. 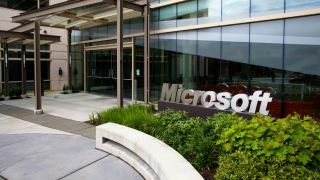 Microsoft started out as a consumer company and pivoted, after a fashion, into enterprise, building class leading software for big business and supporting the expansion of its enterprise arm through sales of consumer software. Companies like Oracle and Xerox still dominate the space but startups are becoming an increasingly prevalent force, focusing in on a specific problem and 'disrupting' – although I am loath to use the term – that field. The current competitors for the enterprise landscape, operating in different spheres but with plans to expand once they achieve dominance, include a mixture of startups and legacy companies ranging from Apple, with its $180 billion (around £119 billion, AU$218 billion) cash hoard, to Box, aiming for an IPO in 2015. In 2014, Apple increased its enterprise offering substantially partnering with IBM to offer MobileFirst iOS apps to customers in banking, retail, insurance, financial services, telecommunications, and for governments and airlines. By doing this, Apple has positioned its iOS devices at the centre of a new corporate culture of reliance on mobile technology. As I wrote in a piece last month, "[Apple] has become the darling of the enterprise landscape – and in a big way. Through the iPhone, and then the iPad, Apple has positioned its products as a staple item within the world of [Fortune 500] companies", and this trend is only set to continue. IBM's focus on big data and Apple's knowledge of design and its already expansive rollout of iOS devices match perfectly. Indeed, in Apple's press release Bridget van Kralingen, senior VP of IBM Global Business Services, touched on this: "Our collaboration combines IBM's industry expertise and unmatched position in enterprise computing, with Apple's legendary user experience and excellence in product design." Apps have already been created through the partnership for sectors from aerospace to government to banking, showing just how committed Apple is to enterprise software and leaving behind the 'just for creatives' image that was attached to the Mac.